Incorporating new technology is important for demonstrating the applications of STEM education, but limited access to advanced technology and corresponding curriculum can be a barrier for educators. 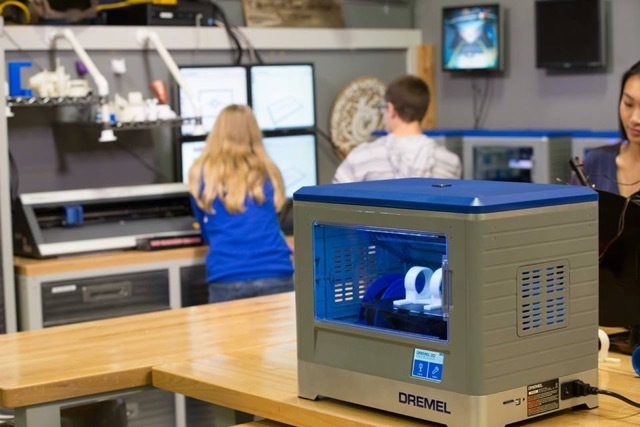 That’s why Dremel, the trusted manufacturer of tools for life and learning, created the Dremel Dreams program, a digital ecosystem that promotes a student-driven learning environment for 3D printing. The program equips educators with a comprehensive toolkit for classroom support, including 3D-specific lesson plans and intuitive design software and hardware. The Dremel Dreams program is made complete with the easy-to-use Dremel 3D Idea Builder, the first 3D printer to receive UL safety certification. The printer features a fully enclosed workspace to ensure safety takes priority in the student-led classroom.